can you give me a show recommendation based on what I like? Who doesn’t amor a tasty meal or good laugh? This is the storyline behind a recent episode of NBC’s long-running drama series “Law & Order: SVU.” In ‘Exile,’ actress Aimée Spring Fortier stepped in the shoes of an assault victim suffering from such a disorder – and she’s completely unaware of it when she wakes up in a hospital with no memory. One such actor is Scott Subiono, who recently portrayed good guy DEA Agent Tony Marino leading the hunt for drug dealers in the segundo season of John Singleton’s FX series “Snowfall.” Set in the 80’s, the show sets forth a gritty and dangerous tale of the rise of crack cocaine in Los Angeles. Some televisão shows depict “normal” life, while others are out to redefine what that word even means. 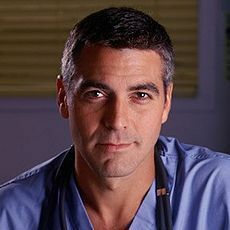 Who did George Clooney play on 'ER' ?